New York City’s newest university campus, Cornell Tech, pushes the limits of sustainable and resilient design. Since opening in September 2017, Cornell Tech’s New York campus has gained attention for its inventive, ambitious design. The bold architectural forms, dramatically sculpted topography of its Roosevelt Island site, and leading-edge sustainability credentials of the completed first phase signal an intention to rethink education for the 21st century. But some of the project’s most important innovations lay in the more prosaic realm of process, collaborative development, and partnership structures. 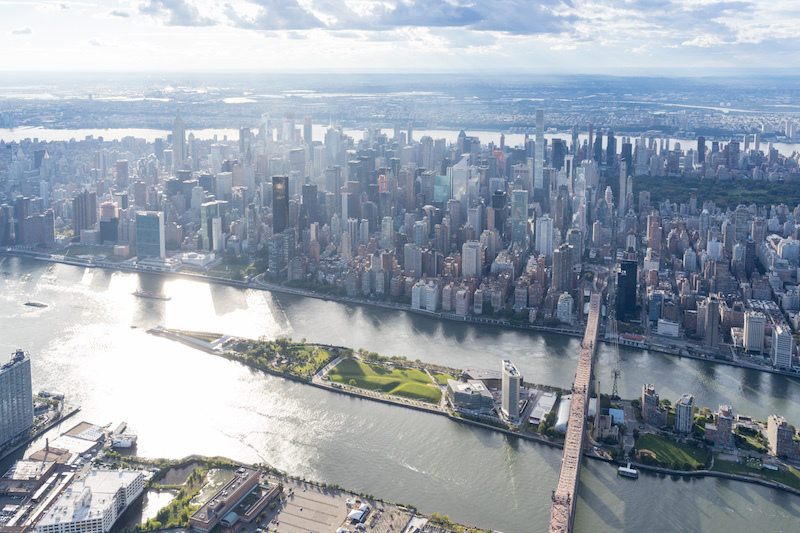 Reflecting a growing trend in American higher education, Cornell Tech used several alternative models of project implementation to make its holistic vision for the first phase of the campus a reality. This trend is also reshaping the designer’s role. As Cornell Tech’s campus master planner, we took on the responsibility to guide the implementation process in close collaboration with multiple partners. This was a necessity given the complex stakeholder network: the city of New York and its agencies, Cornell University and its constituents, the Roosevelt Island community, and third-party partners. During the project, our team at SOM played the role of an orchestra conductor, guiding the ensemble toward the creation of a harmonious whole. Courtesy SOM, Lucas Blair Simpson. Universities in the United States have traditionally relied on a project delivery approach known as design-bid-build. Clients first hire an architecture firm to create a design; then, when the design is complete, they hire a contractor to build it. But as schools look for ways to prioritize capital planning budgets, create more impact through partnerships, and synergize regional and global interest with institutional core strengths, they’re exploring different options. Today, many of our university clients use an approach known as construction manager at risk. This injects construction expertise into projects from the earliest stages. 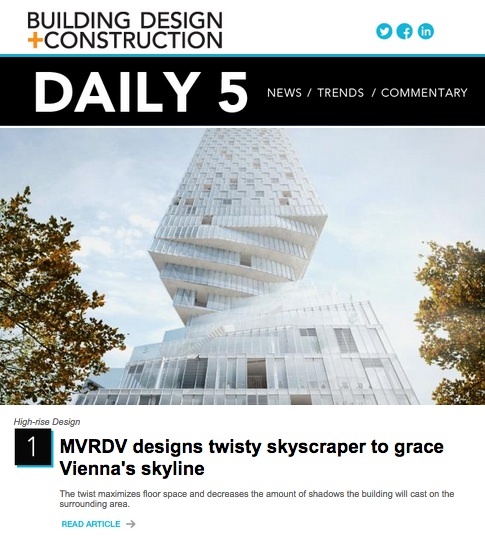 Partners work collaboratively to optimize a project’s constructability, to find intelligent ways to accelerate the overall construction timeline, and to identify strategies to assist the project’s budget. Public-private partnerships are also becoming more popular in higher education. Once used primarily for revenue-generating student housing, this financing structure is increasingly being applied to other project types. 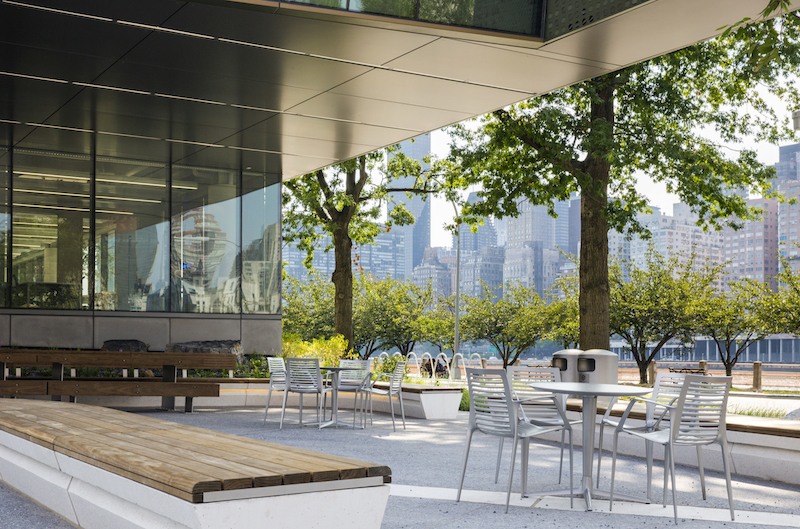 Cornell Tech is unique in many ways, and its innovative approach to achieve a holistic campus is no exception. The school itself is a kind of public-private partnership between Cornell, Technion Israel Institute of Technology, and the City of New York. The city granted Cornell a 99-year lease for the land, but no single entity owns all campus buildings. (For example, a developer owns the corporate co-location facility known as the Tata Innovation Center, leasing space to industry partners and the university.) Within a tight timeline driven by Cornell’s partnership with the City of New York, SOM led the planning process for the first phase of a cohesive campus that integrates several buildings designed and built by separate teams. The nuances of each building’s development within the whole ultimately made the campus financially feasible. 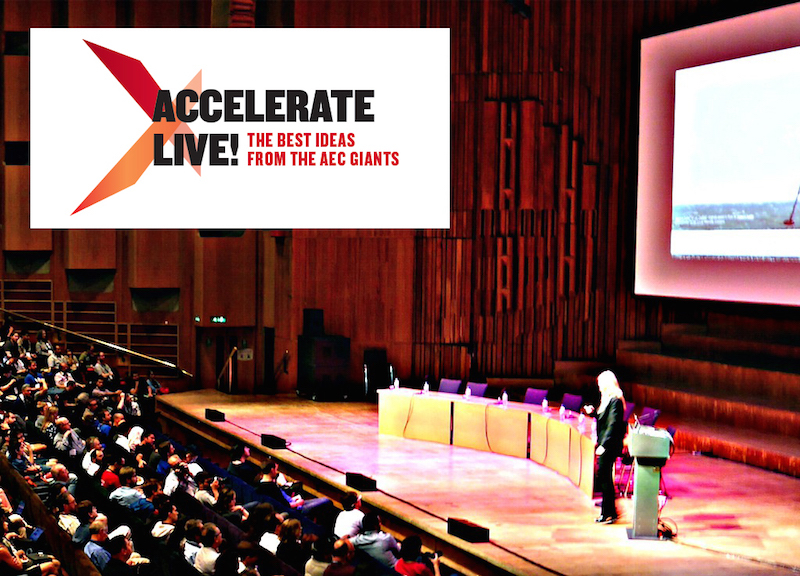 This approach also supported the city’s and the university’s goal of broad-ranging collaboration and experimentation. With an ever-expansive team, SOM helped Cornell to synthesize all campus elements within one cohesive plan. This was no small consideration for a project whose ultimate aim is to futureproof New York City’s economy. Cornell Tech grew out of the city’s desire to create a new applied sciences hub that would attract leading scientists, engineers, and businesspeople from around the globe for decades to come. It was therefore critical to make the campus itself a beacon that reinforces the strengths of Cornell’s academic curriculum, while fusing this intelligence with real-world partnership. We worked closely with Cornell to shape a framework plan that would make the campus lively, accessible, and resilient. To ensure that the teams working on each building understood the framework plan’s goals and tailored their plans accordingly, we worked with Cornell to develop a tool that we called the Scorecard. This list of nine criteria clearly spelled out the core targets for campus-wide sustainable site development parameters as they pertained to individual buildings. It took into account factors ranging from the practical (for instance, where to create tax lots, situate buildings, and coordinate utility points of entry) to the experiential (how a cohesive campus landscape meets the building edges). Ultimately, this simple list of clear parameters helped Cornell balance the diverse needs of individual building projects, while building consensus around a holistic campus plan. As each building team was brought on board, SOM held a kickoff geared to introduce each team to the Scorecard. We asked the architects, developers, and subconsultants involved to prioritize the specific building needs and design advancement, while utilizing the Scorecard items to talk through potential challenges (such as constructability, interfaces, timing, utilities distribution, signage and wayfinding, and open space interventions). We then worked collectively to find the best solutions. Once each project team completed a major milestone, we repeated this process, which we referred to as a “reconciliation” period. Reviewing the Scorecard with key players, we determined the fixed parameters that the campus plan should govern, and which aspects could be revisited collaboratively. With so many separate building teams involved, the Scorecard helped to keep everyone accountable to the overall campus plan. It kept teams on track as individual projects progressed—for instance, it helped us to reconcile the initial, theoretical energy loads we established for the campus with the actual loads for each building. This process also resulted in a number of important breakthroughs. 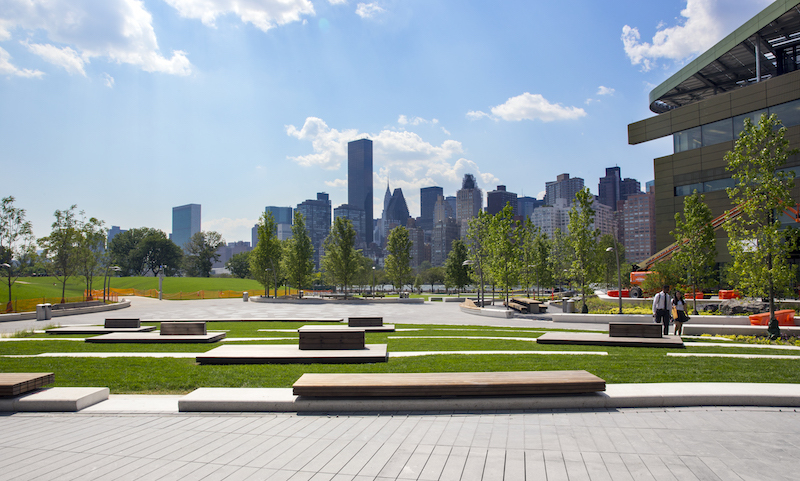 We helped contribute to the net-zero-energy target of the Bloomberg Center, the main academic building, by coordinating strategic elements of the site development: housing 80 geothermal wells and situating a 40,000-gallon underground tank to capture rainwater for use in the building’s plumbing, cooling, and irrigation systems. Another success story: the resilient campus infrastructure. 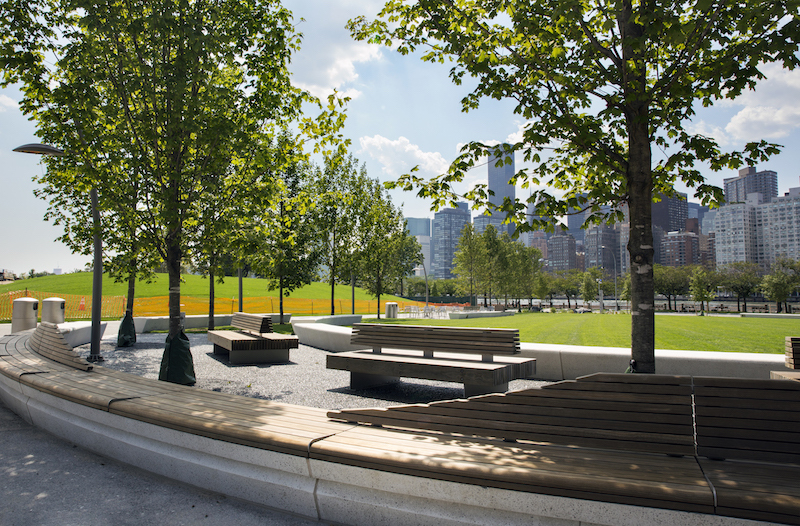 To protect Cornell Tech from rising sea levels and future storms, the master plan established the island’s natural central ridge as the main pedestrian circulation route. As a result, all primary building entrances are located along this elevated pathway. The ridge is also used as the main artery to distribute the electrical supply across the campus. As a result, this often vulnerable infrastructure is kept several feet above the base floodplain elevations, and on higher ground than most of Lower Manhattan, in fact. Although our Scorecard method worked well for Cornell Tech, there’s no one-size-fits-all solution for helping clients in higher education—or any other field—navigate alternative project delivery or implementation models. In a fast-changing market, designers need to return to first principles for every project, working to understand the specific challenges and opportunities involved and to craft solutions accordingly. These skills will become even more important as climate change reshapes cities and college campuses alike. To address broad-ranging infrastructure vulnerabilities, universities are increasingly partnering with local governments and other entities. Designers have a unique role to play in this process: helping all parties understand the potential of a given site or system, and working together to realize it.